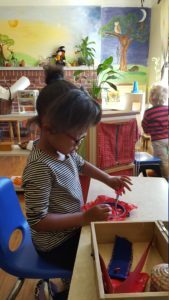 As the only Spanish Immersion Montessori Preschool in St. Louis, Missouri, the nurturing and caring environment of Casa de Niños is designed to foster emotional, physical and intellectual growth. 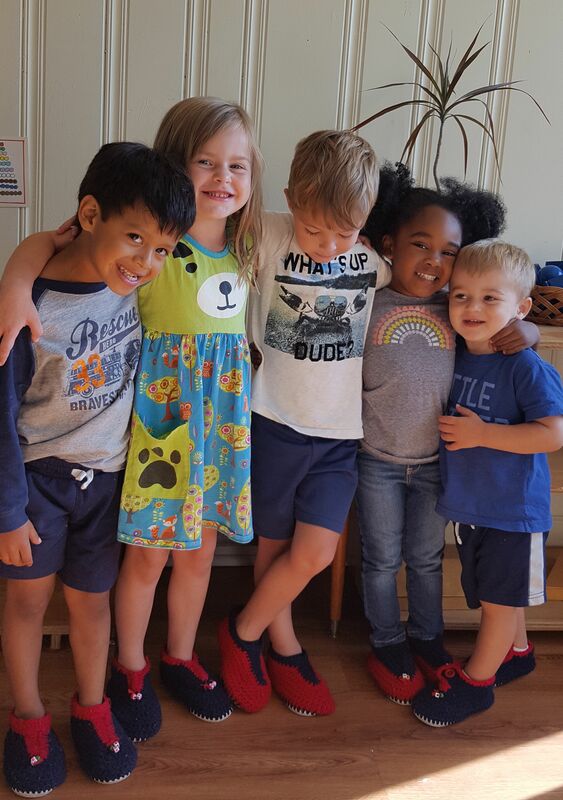 Casa de Niños is the only Montessori Preschool in St. Louis offering a second language program. It is proven that children who acquire a second language at an early age gain a new world of learning experiences and lifelong opportunity. Our educational goal at Casa de Niños is the development of the whole child. We look at each child's intellectual, physical, social and emotional needs, all through a second language. To give our children a head start advantage through the benefits of a Montessori Education while learning Spanish as a second language. 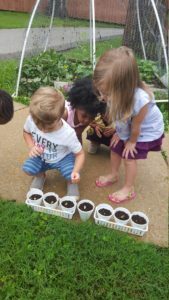 To work individually with each child in order for them to reach their maximum potential early on, to prepare each child to grow as an intellectual, and to encourage each child to care for individuals of a diverse community. To provide an environment that can help develop a sense of well- being, healthy eating habits, and love and care for our planet. Veronica Greene has been a Montessori Teacher since 1984. She is AMI (Association Montessori Internationale) Primary Trained. She has a diploma from the Mexican Montessori Training for Elementary Education, received in Mexico City, Mexico in 1986. Veronica also holds a Teaching Certificate from Esquela Nacional de Maestros. She is inspired by the Montessori Philosophy as she hopes to help and better our world. 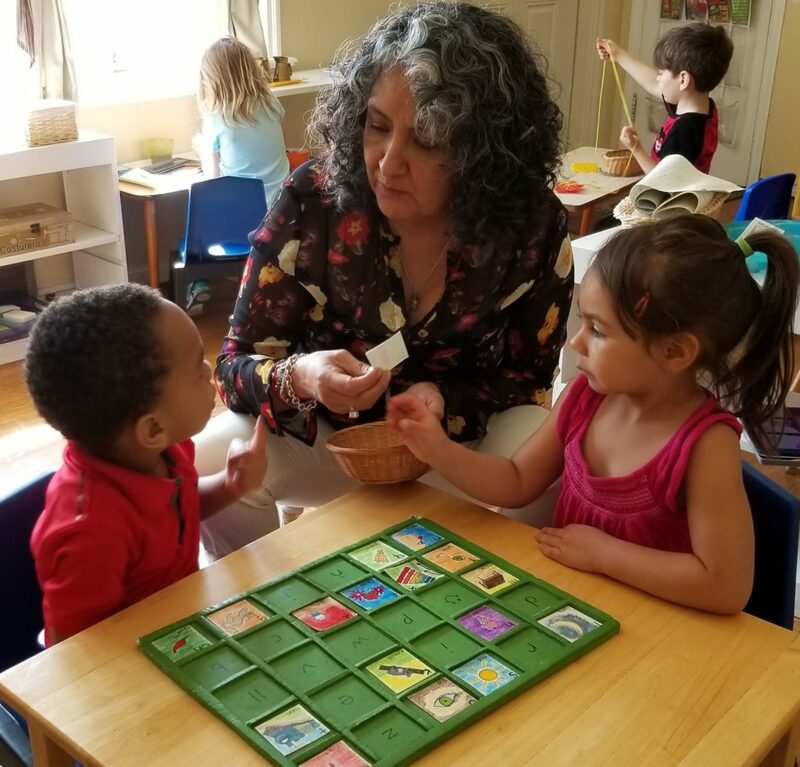 She started Casa de Niños in her home in order to raise her children bilingual and to do so the Montessori way at the most critical time of their development. In seeing the incredible benefits of this education method, she is happy and eager to share the gift with the community and better the lives of our youth. 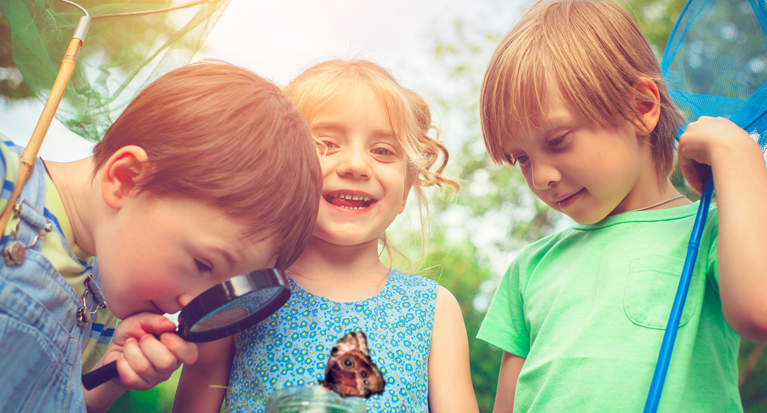 Before the age of 5, a child’s young brain has a curiosity for learning and their fearlessness brings an eagerness to explore. The Intercultural Development Research Association states that, “Young children learn a second language more easily than adults because the window of opportunity for learning language is still open for them.” As this ‘window of opportunity’ is open for young children, the brain develops the difference of both languages on its own, therefore benefitting the brains critical thinking skills, flexibility, creativity, desire to learn, and the child’s future performance. Learning a second language at a young age also opens many doors for the child’s success in future classes and careers. 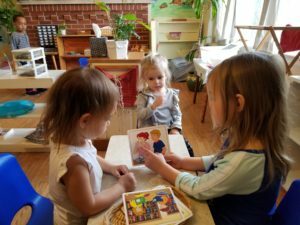 The National Association for the Education of Young Children (NAEYC) reports that, “Teaching toddlers a second language sets them up for academic success later on. 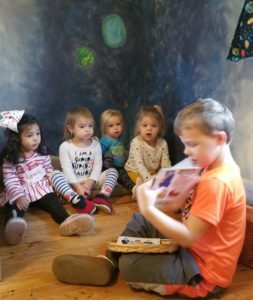 Children who are bilingual as toddlers perform better in school with reasoning and thinking than monolingual children.” Casa de Niños strives to give children the opportunity to learn a second language, allowing an early development of skills that will benefit each child for their future. The 2008 study released by the Applied Developmental Science states that bilingual children have an increased cognitive flexibility and focus, while supporting the augmentation of a child’s ability to discipline themselves in daily actions. Young children will start to not only understand the spoken language but sense what is being communicate. We use body language, inflection, facial expression, songs and many other fun ways to communicate what is needed as each student begins to learn the language. Will my child be delay in English? As long as children attend Casa in a full-time capacity, they will receive all of the exposure to Spanish that they need to learn the language successfully. Parents do not need to speak Spanish at home in order for a child to become bilingual. In fact, many children tend to prefer that parents only speak English at home and reserve the Spanish language for school, if that is what they are accustomed to. Being surrounded by an English-speaking community outside of school whether that is in the home, everyday life, with family, church, stores, etc. being in a Spanish immersion program will not affect their English language development.